Mega hero Allu Sirish took his time and signed the remake of Malayalam blockbuster ABCD. The film is titled ABCD (American Born Confused Desi) and is directed by Sanjeev Reddy. The film is hitting the screens this summer and the makers released the theatrical trailer of ABCD today. The trailer is packed with entertainment and narrates the struggle of an American born youngster who flies to Hyderabad. 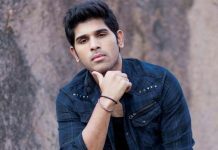 Allu Sirish plays Aadi in this comic entertainer and ABCD narrates about how his life alters after landing in Hyderabad. Rukshar Dhillon is the female lead and the film also has a cute love story along with a strong backstory laced with politics. The background score looks good and Bharath essays another crucial role. On the whole, the trailer of ABCD looks impressive and brings good hype on the film. 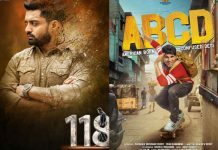 ABCD is hitting the screens on May 17th across the globe. Next articleNaidu’s fight in Delhi – EVMs can be hacked?